NCPottery.com is a successor and improvement on the now RIP SouthernPots.com. The mastermind behind NCPottery.com is Joe English of Durham, NC. And this would not be possible, without the undying support of friends Justin Blair and Matt Coombs, to launch the website on Saturday 11/23/13 @ 3 pm, as planned. Logo development and graphic design consulting for NCPottery.com is provided by Theresa Rizzuto. The site is also naturally supported and inspired by the potters, collectors, and dealers of southern pottery. Without them, ncpottery.com would not exist. Firing from March 2012 at Joe Reinhardt’s kiln. 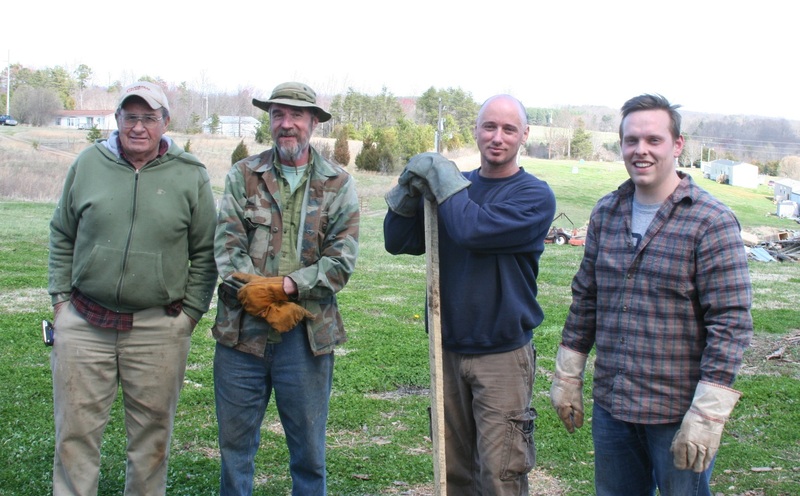 Pictured are potters Joe Reinhardt, Charles Lisk, Chad Smith, and Matt Hallyburton. NC Pottery © 2019. All Rights Reserved.